An international team of astronomers have discovered two stars in a binary pair that complete an orbit around each other in a little over three hours, residing in the planetary nebula M3-1. Remarkably, the stars could drive a nova explosion, an entirely unexpected event based on our current understanding of binary star evolution. The team, led by David Jones of the Instituto Astrofisica de Canarias and the Universidad de La Laguna, report their findings in Monthly Notices of the Royal Astronomical Society: Letters. Planetary nebulae are the glowing shells of gas and dust formed from the outer layers of stars like our own Sun, which they throw off during the final stages of their evolution. In many cases, interaction with a nearby companion star plays an important role in the ejection of this material and the formation of the elaborate structures seen in the resulting planetary nebulae. The planetary nebula M3-1 is located in the constellation of Canis Major, at a distance of roughly 14,000 light years. M3-1 was a firm candidate to host a binary central star, as its structure with prominent jets and filaments is typical of these binary star interactions. Using the telescopes of the European Southern Observatory (ESO) in Chile, Jones's team looked at M3-1 over a period of several years. In the process they discovered and studied the binary stars in the centre of the nebula. "We knew M3-1 had to host a binary star, so we set about acquiring the observations required to prove this and to relate the properties of the nebula with the evolution of the star or stars that formed it" says Brent Miszalski, researcher at the Southern African Large Telescope, and co-author of the study. The two stars are so close together that they cannot be resolved from the ground, so instead the presence of the second star is inferred from the variation of their observed combined brightness - most obviously by periodic eclipses of one star by the other which produce marked drops in the brightness. "When we began the observations, it was immediately clear that the system was a binary" explains Henri Boffin, researcher at the European Southern Observatory in Germany. "We saw that the apparently single star at the centre of the nebula was rapidly changing in brightness, and we knew that this must be due to the presence of a companion star." The team discovered that the central star of the planetary nebula M3-1 has one of the shortest orbital period binary central stars known to date, at just over three hours. The ESO observations also show that the two stars - most likely a white dwarf with a low-mass main sequence companion - are almost touching. As a result, the pair are likely to undergo a so-called nova eruption, the result of the transfer of material from one star to the other. When this reaches a critical mass, a violent thermonuclear explosion takes place and the system temporarily increases in brightness by up to a million times. "After the various observing campaigns in Chile, we had enough data to begin to understand the properties of the two stars - their masses, temperatures and radii" says Paulina Sowicka, a PhD student at the Nicolas Copernicus Astronomical Center in Poland. "It was a real surprise that the two stars were so close together and so large that they were almost touching one another. A nova explosion could take place in just a few thousand years from now." Theory suggests that binary stars should be well separated after the formation of a planetary nebula. It should then take a long time before they begin to interact again and events such as novae become possible. In 2007, astronomers observed a different nova explosion, known as Nova Vul 2007, inside another planetary nebula. Jones comments: "The 2007 event was particularly difficult to explain. By the time the two stars are close enough for a nova, the material in the planetary nebula should have expanded and dissipated so much that it's no longer visible." The new event adds to the conundrum, adds Jones: "In the central stars of M3-1, we've found another candidate for a similar nova eruption in the relatively near future." The team now hope to carry out further study of the nebula and others like it, helping to shed light on the physical processes and origins of novae and supernovae, some of the most spectacular and violent phenomena in the Universe. 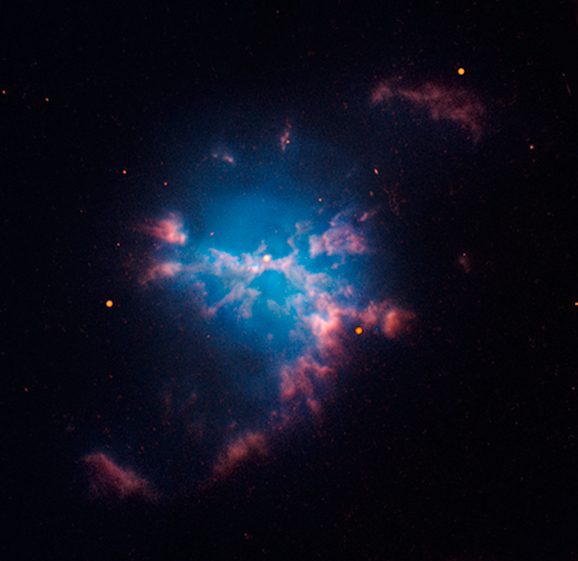 An image obtained with the Hubble Space Telescope of the planetary nebula M3-1, the central star of which is actually a binary system with one of the shortest orbital periods known. Credit: David Jones / Daniel López - IAC. An animation to scale of the two stars in orbit around each other. Their combined brightness varies depending on whether both are visible, or one or the other is eclipsed by its companion. Credit: David Jones - IAC. The new work appears in: "The short orbital period binary star at the heart of the planetary nebula M 3-1", D. Jones, H.M.J. Boffin, P. Sowicka, et al., Monthly Notices of the Royal Astronomical Society: Letters (2018), 482 (1) (DOI: 10.1093/mnrasl/sly142).